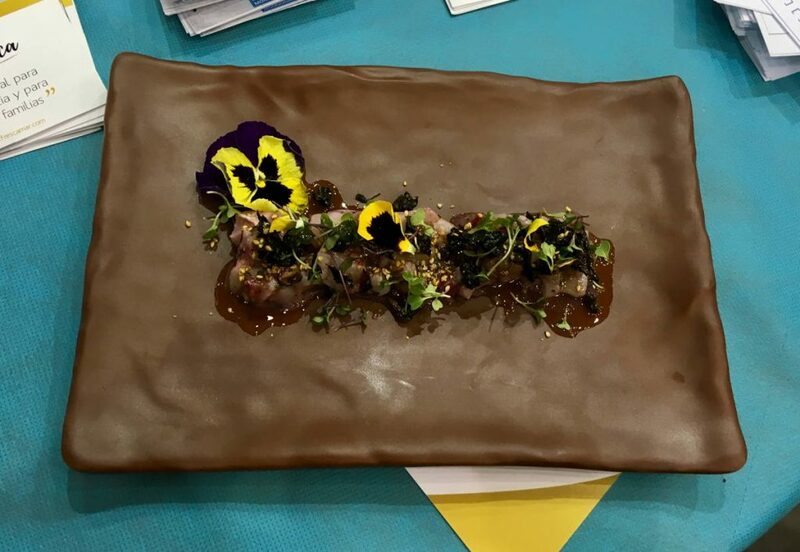 “Trends. 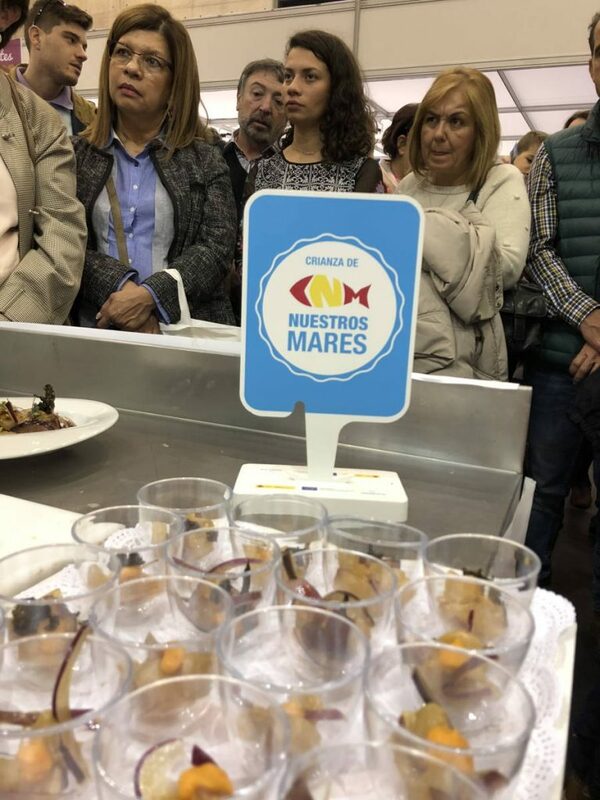 Gastronomy. 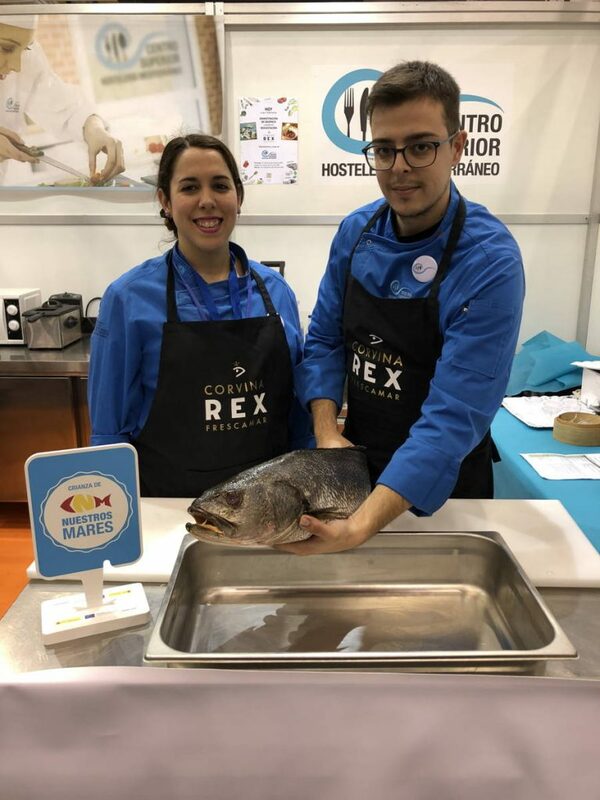 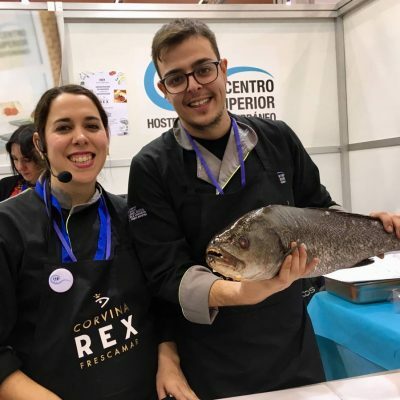 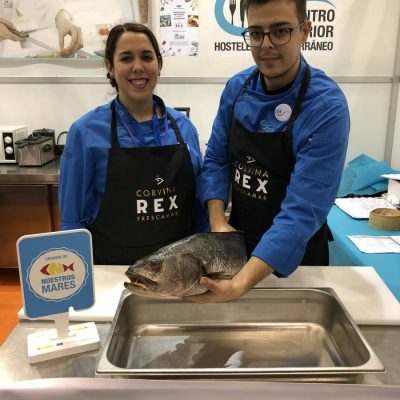 Mediterranean” has been the motto of this year’s Gastrónoma Exhibition in Valencia; an appointment that Corvina REX did not want to miss. 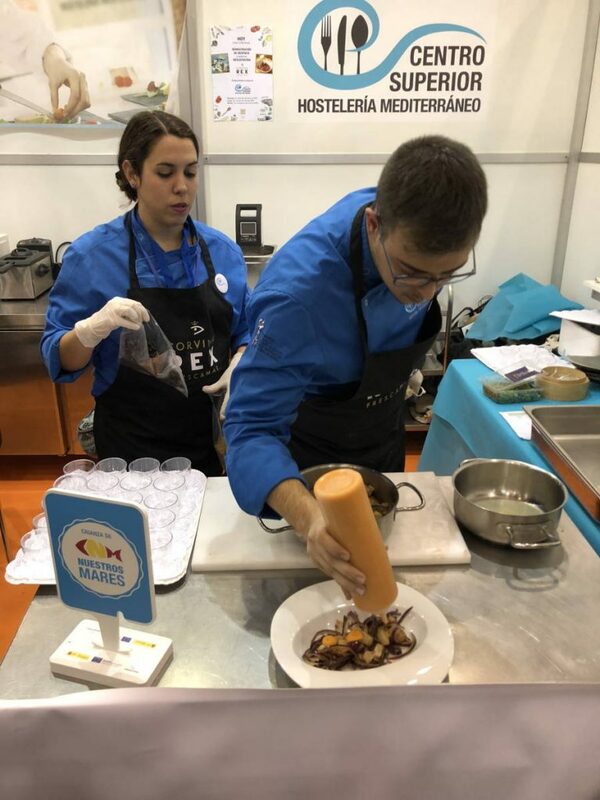 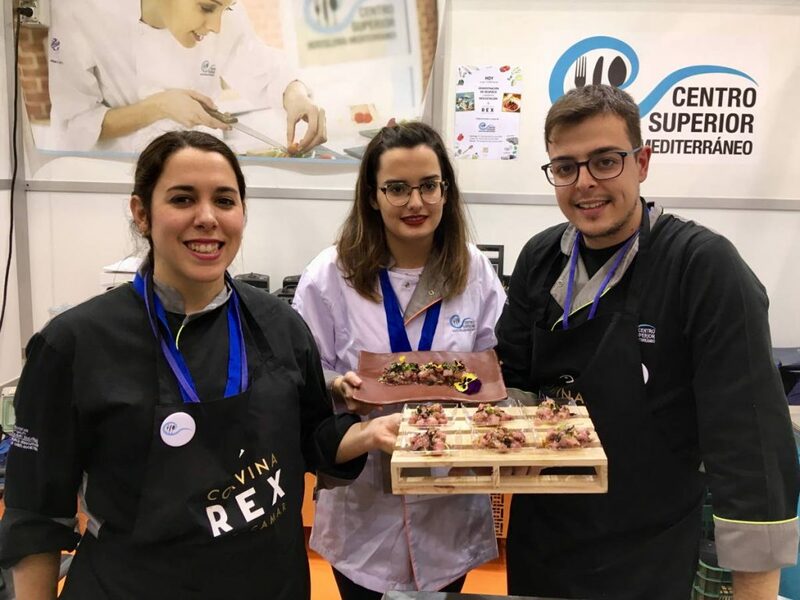 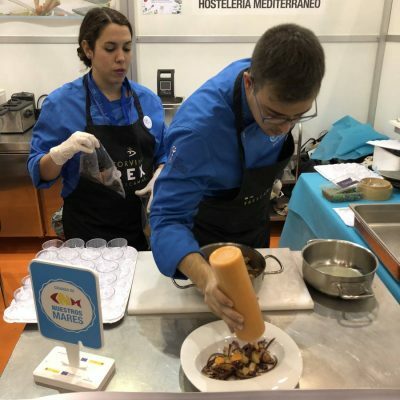 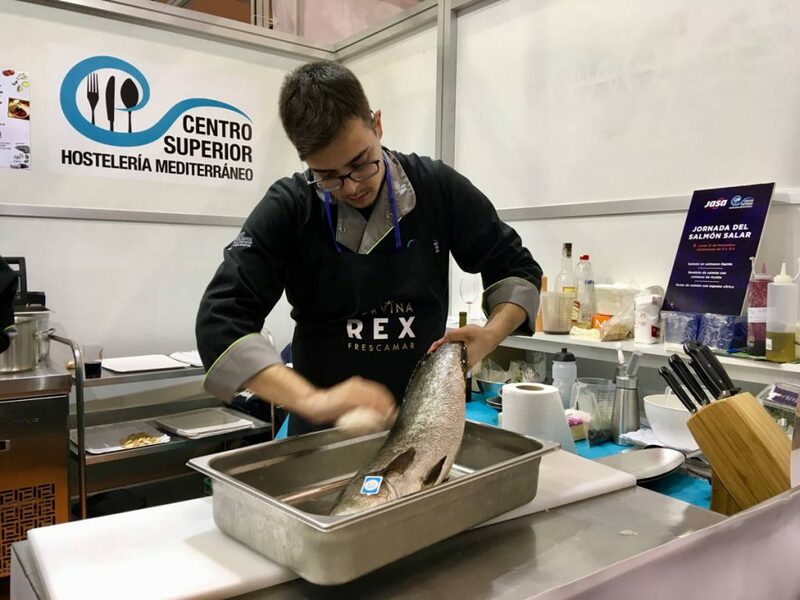 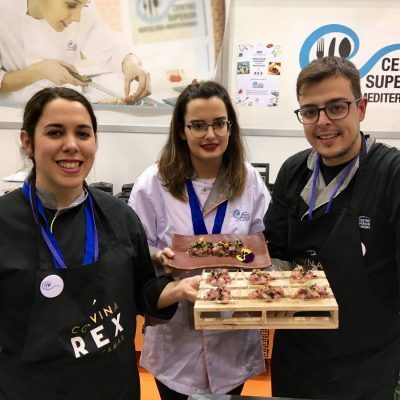 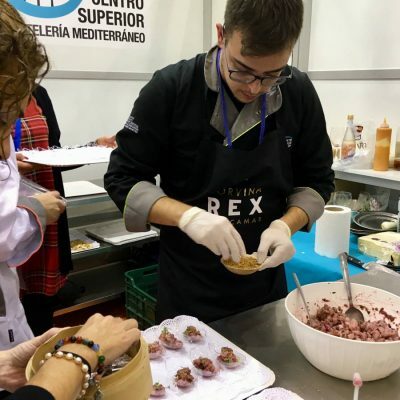 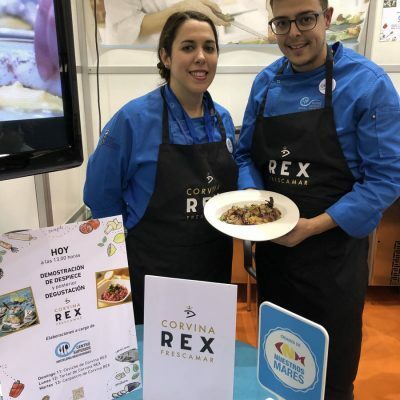 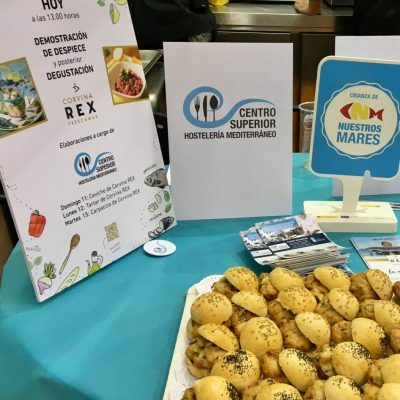 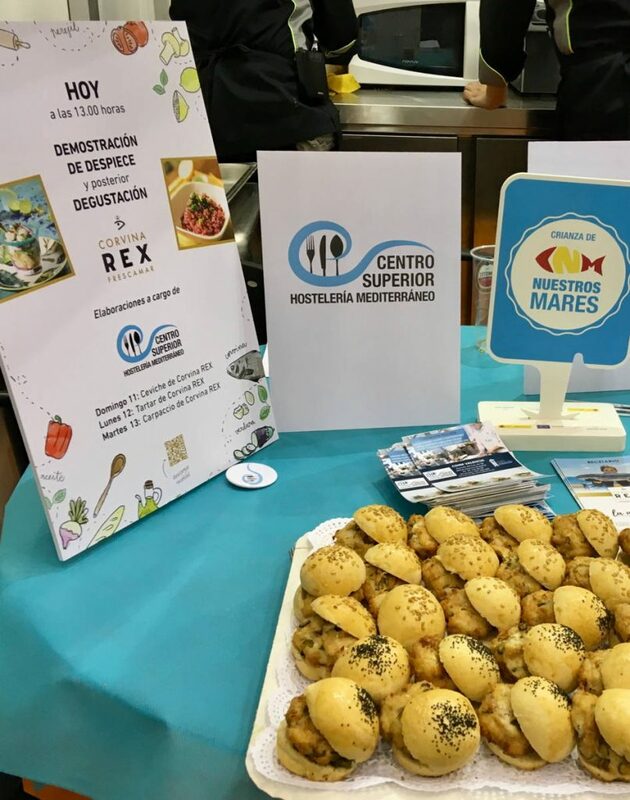 With the Centro Superior de Hostelería del Mediterráneo (CSHM)’s support, just as it did last year as a result of the agreement signed with this prestigious training center, REX has been present offering cutting demonstrations and tastings. 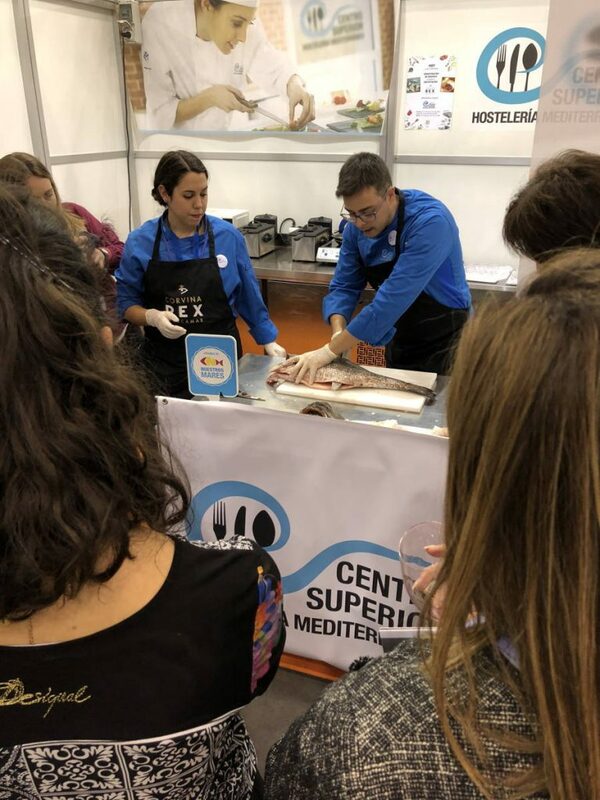 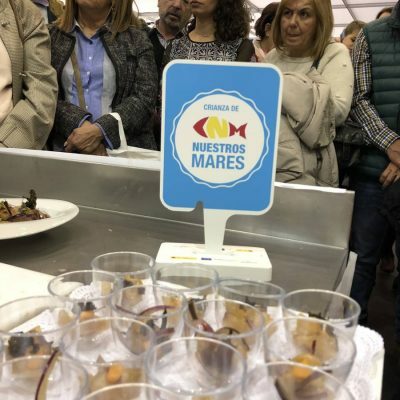 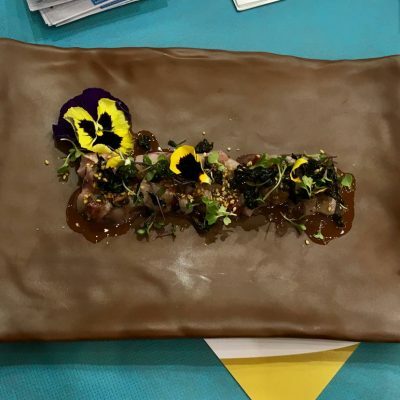 Ceviche, tartar and carpaccio have been again the elaborations with which the attentive audience that has visited the stand and has listened with great interest to the characteristics of the species has been rewarded. 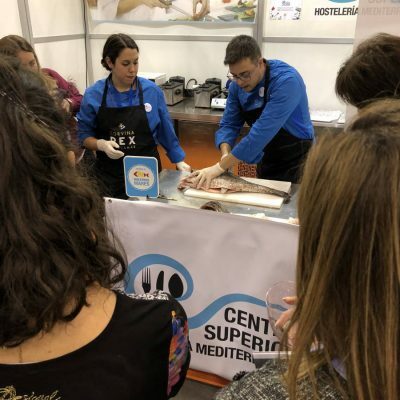 Pleasantly surprised by its taste, the attendees asked several questions to the CSHM trainers, responsible for the cutting and the elaboration. 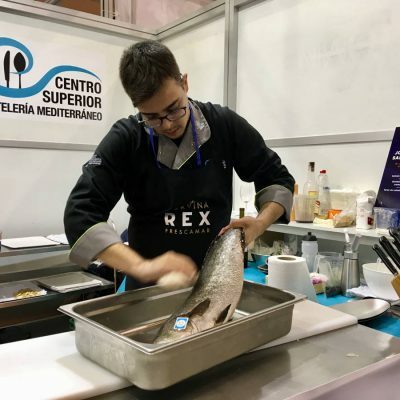 Wakame seaweed and sesame have been some of the new ingredients incorporated into classic cold recipes based on Corvina REX, a fish that demonstrates its versatility every day in the kitchens of great chefs throughout Europe. 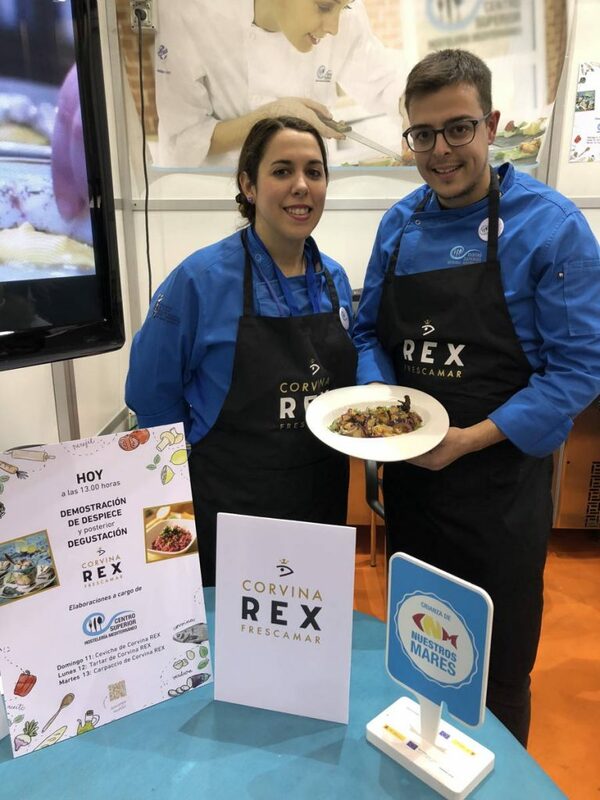 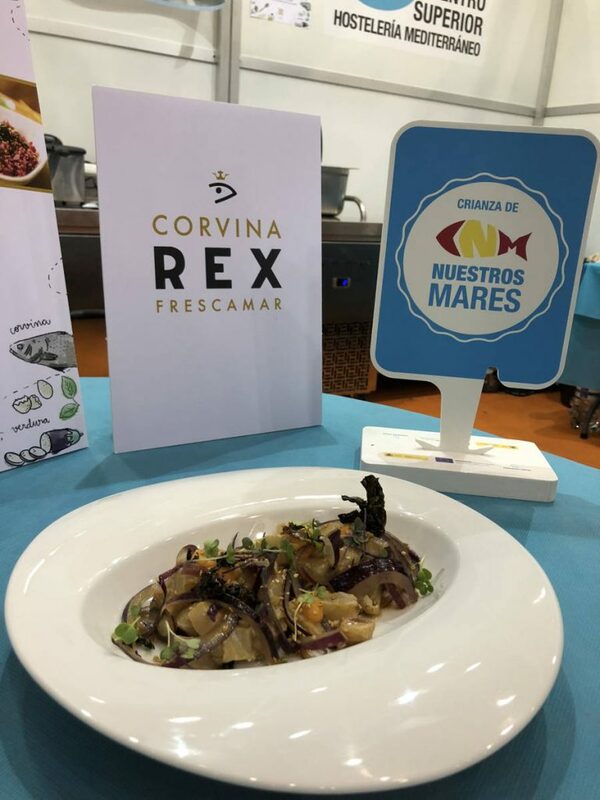 Additionally, recipe books have been distributed from the booth, reminding cooking lovers that they can also give free rein to their creativity with the help of the suggestive recipes that Corvina REX offers on its website (see recipes). Gastrónoma has incorporated new features to this new edition, such as the change of dates, matching the three days of the meeting with a Sunday, Monday and Tuesday. 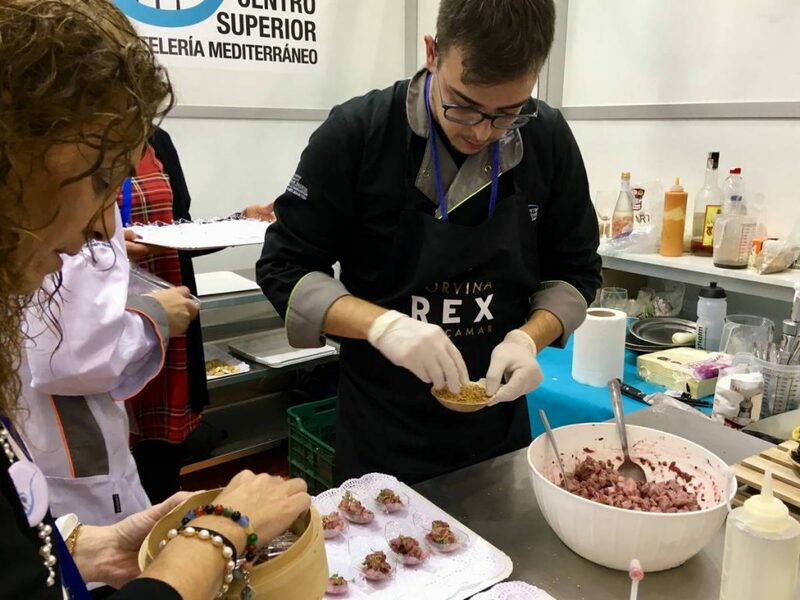 Thus, chefs, producers, distributors and artisans have offered their products and services in a contest attended by a large number of gastronomic professionals as well as gourmet audience. 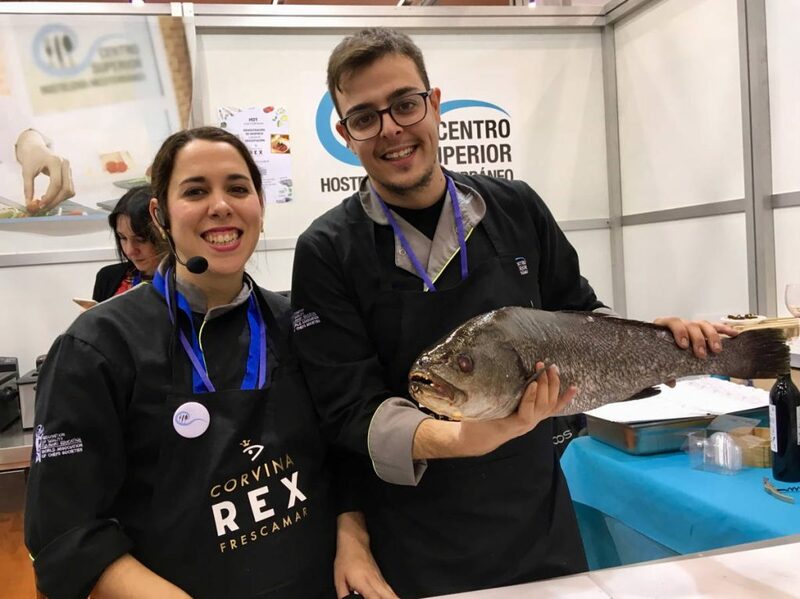 An ambitious edition in which the level of speeches has also been increased and which has already become a reference point for Valencian gastronomy. 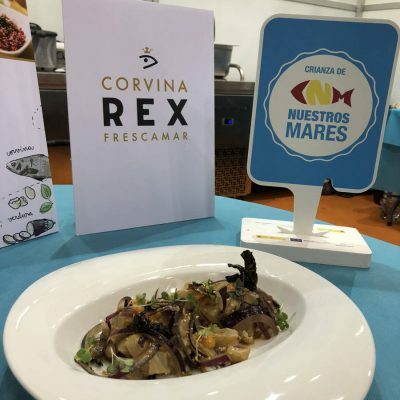 A forum that grows year after year both in exhibitors and visitors.